For Christ's Glory Ministries (FCGM) is a non-profit organization which functions as a service bureau for worthwhile charities. Our mission is to provide vital, behind the scenes support to our partner charities to equip them to do what they do best - the hands-on work of serving God by helping people. Following the principles of Acts 6:2-4, our purpose is to provide Infrastructure, Fundraising and Donations to these organizations, so they can be free to serve and minister with as little time spent on necessary, though time-consuming administrative functions. Infrastructure: FCGM has partnered with a business intelligence software company that donates its system and website development services to charities, so they can easily stay in contact with their donors, manage projects efficiently, track fundraising, and oversee volunteers as well as staff. Fundraising: It is important for any ministry to get the word out about what they are doing and to communicate their needs with donors. FCGM assists ministries in their fundraising efforts with marketing materials, website design and management, as well as assistance with donor communication and newsletters. Donations: Beyond providing infrastructure and fundraising, FCGM can also directly receive donations for our partner ministries. 100% of any donation given to FCGM goes directly to our partner charity, with no money going to over-head or any other internal expenditures for FCGM. We are able to do this through the generous donations of corporate sponsors who pay for FCGM's internal budget. 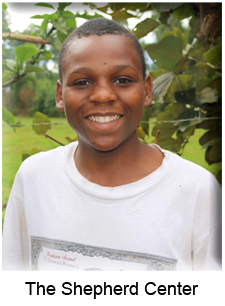 The Shepherd Center, located in Kabale in Southwest Uganda, is a ministry that provides a safe and loving home for street boys to be nurtured, educated, counseled, and reconciled, if possible, back into their families. 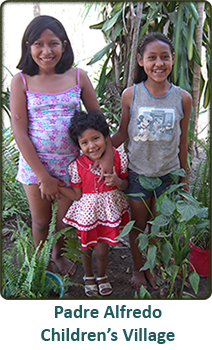 The Trinidad Scholarship Program is based in Trinidad, Honduras and provides educational scholarships to poor and at-risk children. 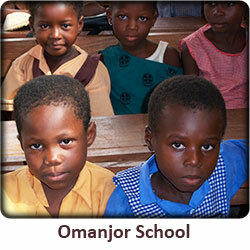 The Omanjor Municipal Assembly Basic School (OMABS) is located in Ghana, West Africa. This school focuses on combating extreme poverty with education. They currently teach over 700 students as well as providing a nutritious feeding program. 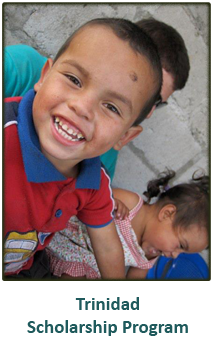 Padre Alfredo's Childrens Village is a Catholic run orphanage located in the heart Santa Cruz, Bolivia. They care for over 300 children in their unique "village style" orphanage. 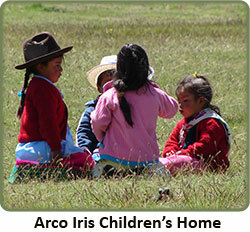 The Arco Iris Children's Home is located in Huaraz, Peru. Their mission is to protect vulnerable children and to transform their community through training and education programs. They have a home for orphans and a textile shop which provides impoverished mothers with a trade and living wage. Estela Diez runs this home for the elderly, located in Santa Cruz, Bolivia. 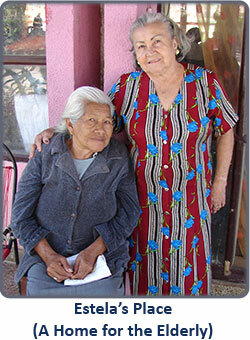 Estela has dedicated her life to providing a home for elderly men and women who have no where to go in their old age.